Many have been asking where the reviews are so, Ive decided to do the reviews in capsule form so we can get up to date fast and in addition bring those who have not been following things up to speed and whether they should invest hard earned dollars in Marvel’s latest big “event”. Black Superheroes present- Luke Cage, Black Panther and Storm. 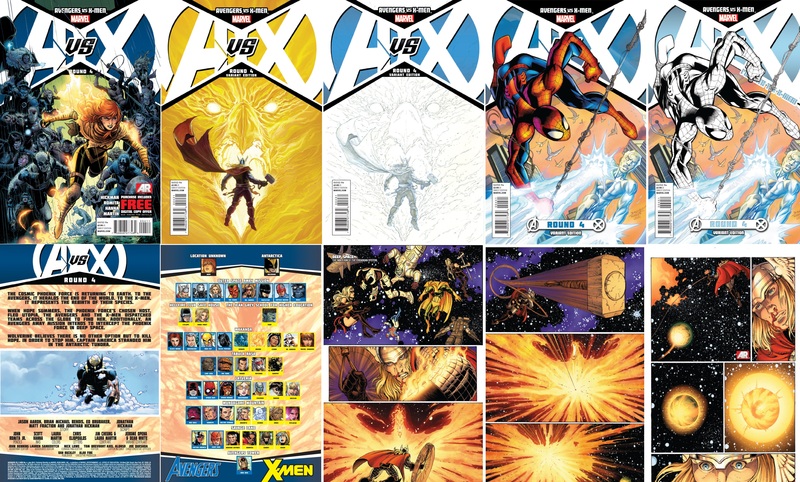 Cool cover with Hope with Phoenix flames running from the Avengers and the X-men, the only alternate worth owning has Thor facing off with an immense Phoenix force, the rest are tacky. Hope rescues Wolverine from certain death in the arctic. She wants him to take her to the moon so she can get the phoenix before it hits earth and if things go bad he can kill her, he agrees. In Space some of the avengers try to hold off the Phoenix. 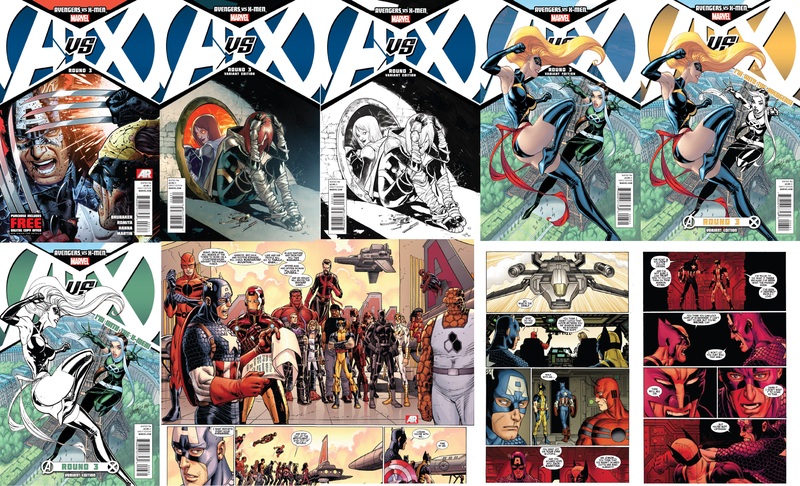 Just as Hope and Wolverine land on the moon both the X-men and the Avengers do the same. Before they can fight the Phoenix arrives in its orbit as Thor crash lands on the surface. Black Superheroes present- Luke Cage, Black Panther, Storm and Sunspot.